Arrr! Come to Ahoy Guesthouse on Pirates Lane, Protection Island for a fun and relaxing stay at our comfortable home across the road from a beach access trail and abutting forest parkland. We offer you the ground floor of our home which gives you about 1000 sq ft of private space. It includes one bedroom with queen bed and 1/2 bath and one bedroom with two twin beds, plus a full bathroom, a large living area with hideabed (suitable for kids ) and a kitchen/dining area with a glass sliding door onto the backyard patio. 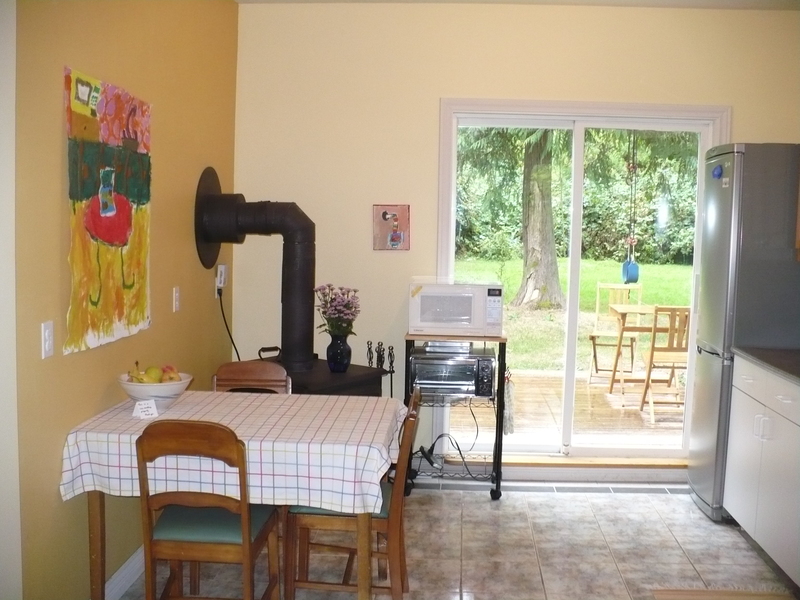 Children are very welcome; there is a playhouse in the backyard and toys are available. We also welcome LGBT guests (and everyone else!). 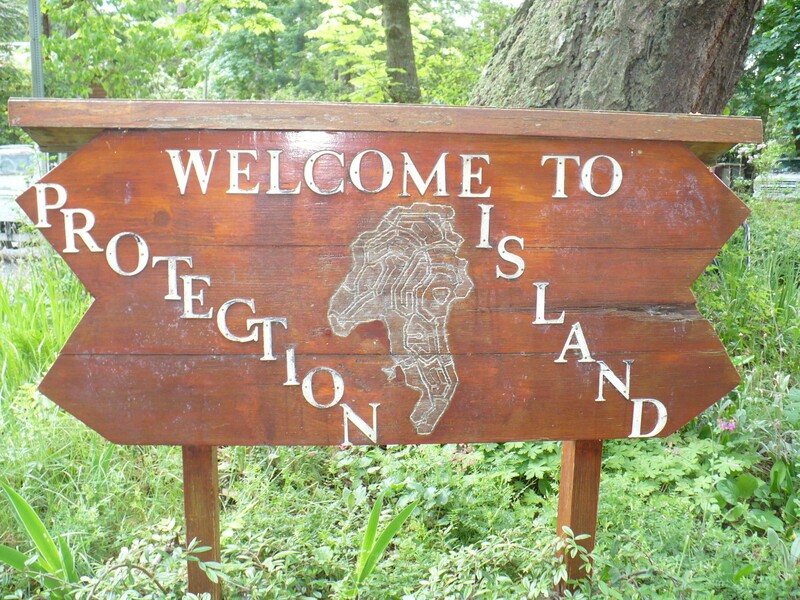 Protection Island is a small, friendly, residential community with a park-like setting: lots of trees and greenery, beaches, and gravel roads with 20 km/hr speed limit for bikes, golf carts, and cars alike. A ten minute ride on a quaint passenger ferry from downtown Nanaimo brings you to our amazing island, and a scenic 10 minute walk leads you to Ahoy Guesthouse. Once here, a walk one minute down a beautiful trail takes you to our closest beach. Check out tidal pools at low tide – find starfish, moonsnails, oysters, mussels, variety of fish, seaweeds, etc. Use our beach guide to identify what you find – we found a piece of tentacle from a Giant Pacific Octopus once! 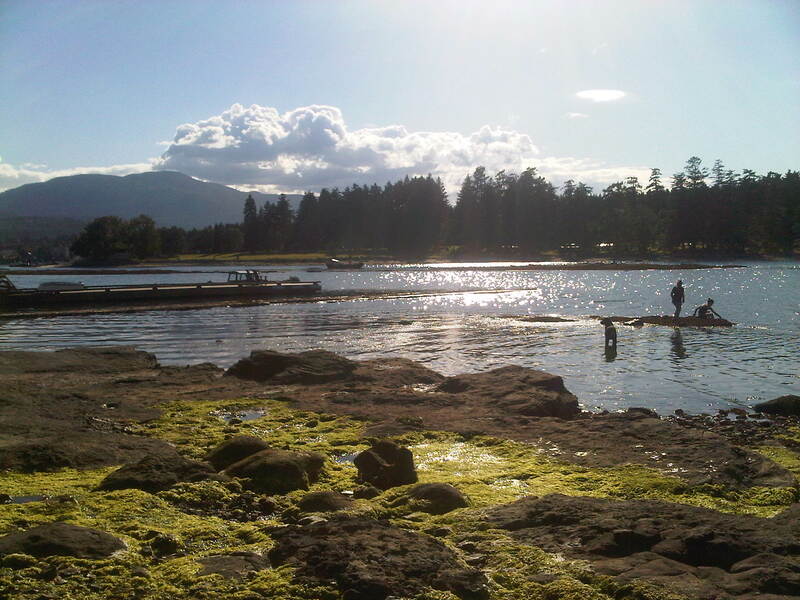 At very low tides, walk to beautiful Newcastle Island Marine Park (otherwise, you can take a ferry to get there). Walking around Protection Island you can see our beautiful parks and beaches, impressive community garden, the playground/playing fields, community hall, library, and our museum (latter 3 open limited hours). See wildlife up close: heron colony, lots of eagles, raccoons, deer, seals, otters, and more. Stop at the floating Dinghy Dock Pub, bedecked in nautical paraphernalia. Kids section includes a fishing hole for the kids’ entertainment! Finally, relax in our yard with the scent of sea and nature, and birdsong all around.